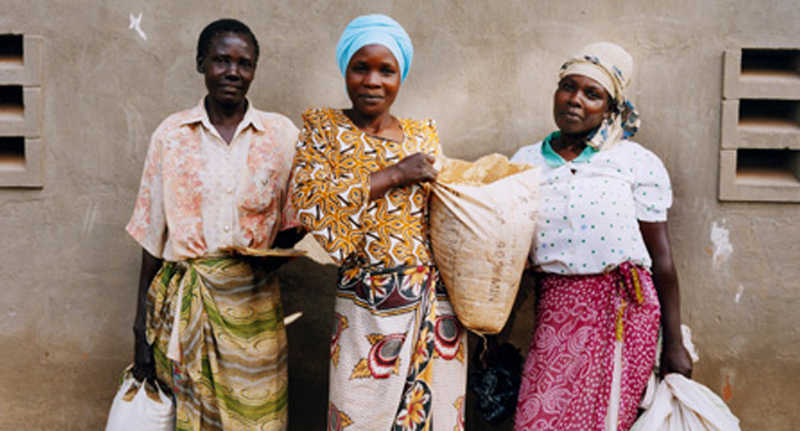 Fair trade is a trading partnership between producers and consumers based on dialogue, transparency, and respect. This partnership seeks to bring about greater equity in international trade and decrease in the world’s poverty and injustice. In Fair trade, the people who produce the goods – farmers, artisans, etc – receive better terms and have better working conditions than in a conventional trade relationship. This helps them improve their own lives as well as their community. Through their purchases consumers reduce poverty and support greater global justice. How is fair trade different from giving to a non-governmental organization (NGO)? What is fair trade certification and why is it important? A number of organizations, many of them NGOs, have developed fair trade certifications that can be used to assure consumers that the products they purchase are truly fair trade. Although producers may claim that products were produced in “fair” conditions, with fair trade certification consumers can know that this truly was the case as well as learn more about some of the benefits provided to the producers from whom they purchase. There are hundreds of fair trade certifications provided globally and two of the major certification groups are the World Fair Trade Organization (WFTO) and Fairtrade Labeling Organization (FLO). Certification is often shown via a mark which is part of the packaging of a product. Although you can be assured that products with the fair trade mark are fair trade items, not all fair trade products have such a mark. Why is this the case? The cost of getting this certification may be too expensive for very small or new producers. Additionally, with some types of products certification may be more difficult or even impossible due to the nature of the supply chain or materials used to create the product. Why do fair trade products sometimes cost more? First of all, fair trade products do not necessarily cost more. Sometimes, by cutting out middlemen and sourcing directly from producers, costs are lower. However, with other products, prices may be higher than you are used to. This is usually due to the higher salary, benefits, and better working conditions provided to producers in the fair trade system. Is fair trade still worth it for consumers if the price is higher? Often the quality of fair trade items will be much better. The satisfaction of knowing that you supported fair trade is also worth far more than any extra price! You can also make the choice to reduce your own overall consumption so you can afford to increase your support of fair conditions for producers. What is a fair trade premium? What is Crossroads Global Handicrafts? Global Handicrafts is one of the four parts of Crossroads Foundation. It is a crossroads between the world’s needs and resources where consumers and producers come together. Fair trade products are available through the Crossroads Marketplace as well as the Silk Road Cafe. What is Global Handicrafts’ policy on workplace health and safety for producers? What is Global Handicrafts’ policy on child labour and producers? What is Global Handicrafts’ policy on gender equity and producers? What is the Crossroads Marketplace? The Marketplace is a physical space in Crossroads Village dedicated to promoting and selling fair trade products from all over the world. It is a crossroads where the world’s resources (consumers) and the world’s needs (products in need of a market) come together. Where do the products in the Marketplace come from? The products come from all over the world, including Hong Kong! The Marketplace is organized by geographic regions of the world and in each section you can purchase products from that region. The products on sale come from people who struggle, in their different countries, to emerge from hardship and challenge. Many of the products are created by individuals working with NGOs. Others are created by small businesses or cooperatives in the developing world. How does the Marketplace determine which producers to partner with? The producers are people in poverty or disadvantaged situations. Some of the factors Crossroads considers are: whether products are needed from a specific region, whether the producer follows fair trade standards or is willing to make improvements in how it conducts business, whether the group’s mission and objectives match that of Crossroads, whether the supply chain is short and efficient, and the environmental consciousness of the producer. Crossroads commits to maintaining a long-term relationship with a producer once they have established an initial trading relationship with them. Some of the factors Crossroads considers are: the quality of the products, the appropriateness of products for the Hong Kong market, whether the products may tie in to simulations held by Crossroads Global X-periences, whether the minimal order size is small enough for the Marketplace, and any external certification of the products including fair trade or organic materials. Who benefits from the sale of these products? The producers receive a fair price for their products. Producers set their own price for handicrafts based on the cost of production and the margins required for a decent income. The Marketplace commits to purchasing products at a fair price even when it means it cannot make a profit. What do I do if I am a producer interested in having my products sold in the Marketplace? Please send an e-mail to marketplace@crossroads.org.hk. It is important that you include sample photographs of your products and information about your group. The Marketplace will respond to you if your products and organisation are a good fit. What is the Crossroads Silk Road Cafe? Like the Marketplace, the Silk Road Cafe is a Crossroads between the world’s needs and resources. A number of fair trade products as well as products from local social enterprises are available for purchase. The cafe’s design honours today’s Silk Road and the people served by Crossroads’ branch office in Central Asia. Who benefits from the sales at the Cafe? The refreshments purchased provide a fair income for producers of goods like coffee, chocolate and sugar, in struggling economies and also support disadvantaged individuals in Hong Kong. The fair trade and social enterprise producers receive a just price for their products. What types of products are available at the Marketplace? Products offered at the Marketplace include a variety of handicrafts created by artisans around the world as well as handbags, clothing, canned and packaged food, and dry tea and coffee. What is available for sale at the Cafe? The cafe has a range of hot and cold coffee beverages and hot tea as well as chocolate beverages. Cold juices, smoothies, and soft drinks are also provided. A wide variety of snacks and some particularly delightful sweet treats are available for purchase. Full meals are not offered. Where are the Marketplace and Cafe located? The Marketplace and Cafe are located in Crossroads Village at the Gold Coast area of Hong Kong, near Tuen Mun. Are products available for purchase at locations other than the Marketplace? At this time most sales take place at Crossroads Village, though Crossroads also sells at fairs around Hong Kong. In the future products may be sold at other Hong Kong outlets. Products are available for online purchase at http://shop.globalhandicrafts.org/. What are the opening hours for the Marketplace and Cafe? Both the Marketplace and Cafe are open from 9:45 to 17:00, Tuesday through Saturday (closed on public holidays). They can be open at other times by appointment. If you need to schedule an appointment, please contact marketplace@crossroads.org.hk. How can you provide feedback to the Marketplace and Cafe? Feedback forms are available in both the Marketplace and Cafe. You can also send an email to marketplace@crossroads.org.hk.